Founded in 1801, then-South Carolina College flourished pre-Civil War, overcame postwar struggles, was rechartered in 1906 as a university and transformed itself as a national institution in the 20th and 21st centuries. The Palmetto State established South Carolina College — the precursor to the University of South Carolina — on Dec. 19, 1801, as part of an effort to unite South Carolinians in the wake of the American Revolution. 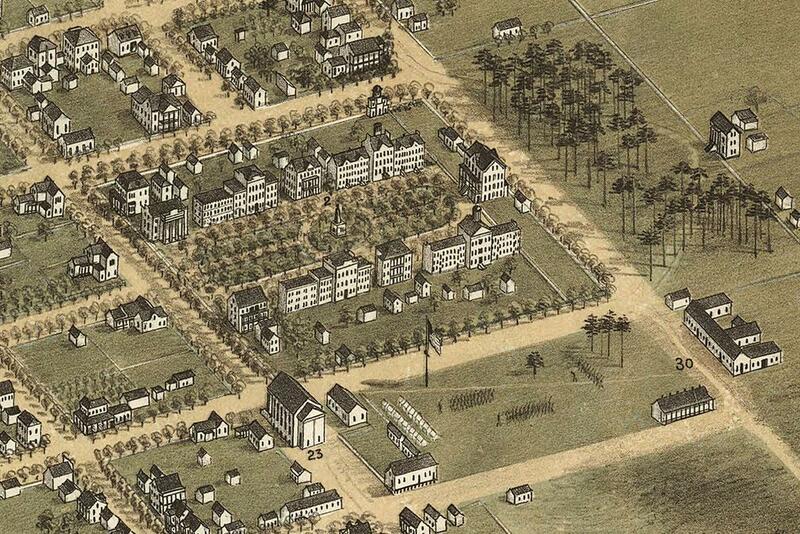 South Carolina's leaders saw the new college as a way to promote "the good order and harmony" of the state. The founding of South Carolina College was also a part of the Southern public college movement spurred by Thomas Jefferson. Within 20 years of one another, Georgia, North Carolina, South Carolina, and Virginia established state-supported colleges. In the antebellum era, the Palmetto State generously supported South Carolina College. The institution featured a cosmopolitan faculty, including such noted European scholars as Francis Lieber and Thomas Cooper, as well as renowned American scholars John and Joseph LeConte. Offering a traditional classical curriculum, South Carolina College became one of the most influential colleges in the South before 1861, earning a reputation as the training ground for South Carolina's antebellum elite. The campus grew around the modified quadrangle of the Horseshoe. 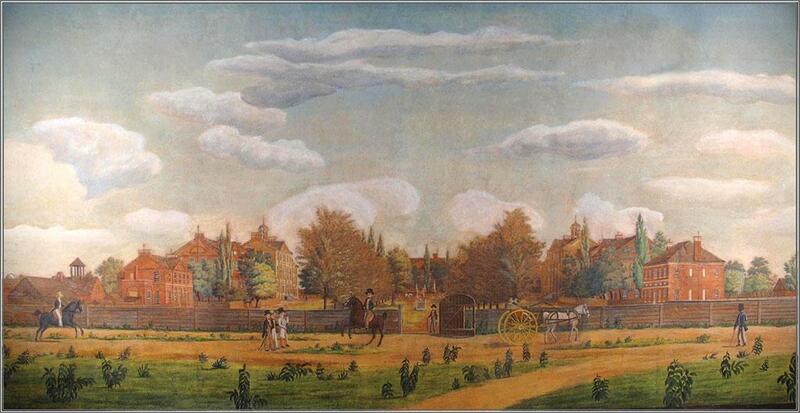 In 1805, four years after the college was chartered, its first building, Rutledge, was completed. Classes began that year with two faculty members and nine students. From the architectural design and influence of Robert Mills, the nation's first federal architect and the designer of the Washington Monument, to the South Caroliniana Library as the first freestanding college library building in the nation, every brick and inscription on the original Horseshoe campus reveals a small chapter of our eventful history. 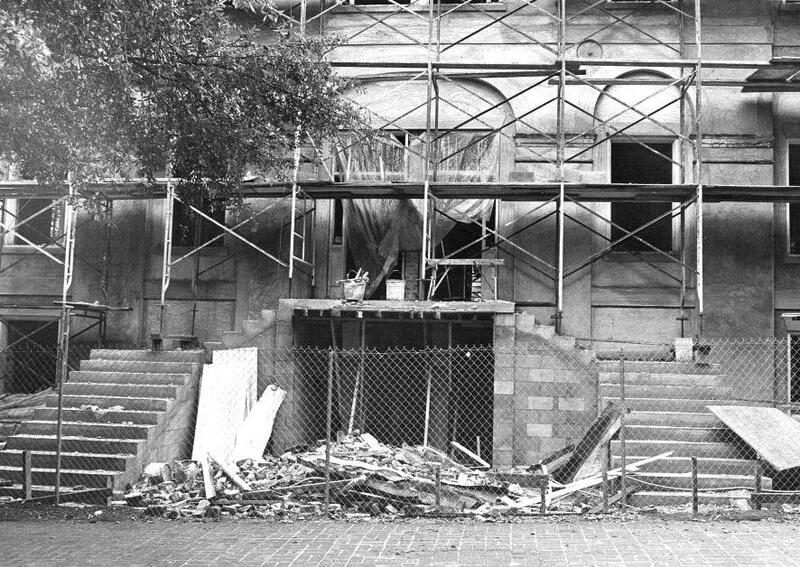 Having survived an 1811 earthquake that damaged DeSaussure, then known as North Building, and an 1855 fire that gutted Rutledge, the college finally succumbed to the upheaval of the Civil War and Reconstruction. South Carolina's secession from the Union unleashed the devastation of war. The state and South Carolina College paid dearly. The institution closed in 1861 for want of students, and in the ensuing decades it struggled to regain the leading role in the region it had held during the antebellum era. State leaders revived the institution in 1866 as the University of South Carolina with ambitious plans for a diverse university that included the first African-Americans to serve on the board of trustees (1868) and the first African-American students (1873). While politically controversial, this development was an extraordinary opportunity for South Carolinians at a time when opportunities for higher education were rare. The University of South Carolina became the only Southern state university to admit and grant degrees to African-American students during the Reconstruction era. But with a nearly empty state treasury, the institution failed to reach its former status. 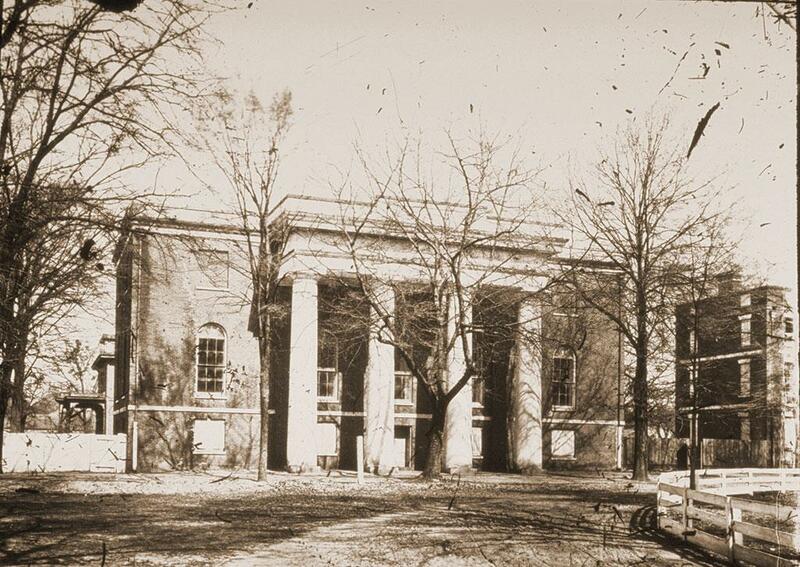 Following the end of Reconstruction in 1877, South Carolina's conservative leaders closed the university. They reopened it in 1880 as an all-white agricultural college and during the next 25 years the institution became enmeshed in the upheaval of late 19th century South Carolina politics. Carolina went through several reorganizations in which the curriculum frequently changed and its status shifted from college to university and back again. In 1906, the institution was rechartered for the final time as the University of South Carolina. In the early decades of the 20th century, Carolina made strides toward becoming a comprehensive university, and in 1917 it became the first state-supported college or university in South Carolina to earn regional accreditation. The 1920s witnessed further progress and growth with the introduction of new colleges and degree programs, including the doctorate. The Great Depression temporarily stalled this progress, but the outbreak of World War II launched an era that transformed the university. Carolina hosted U.S. Navy training programs during the war and enrollment more than doubled in the post war era as veterans took advantage of the G.I. Bill. 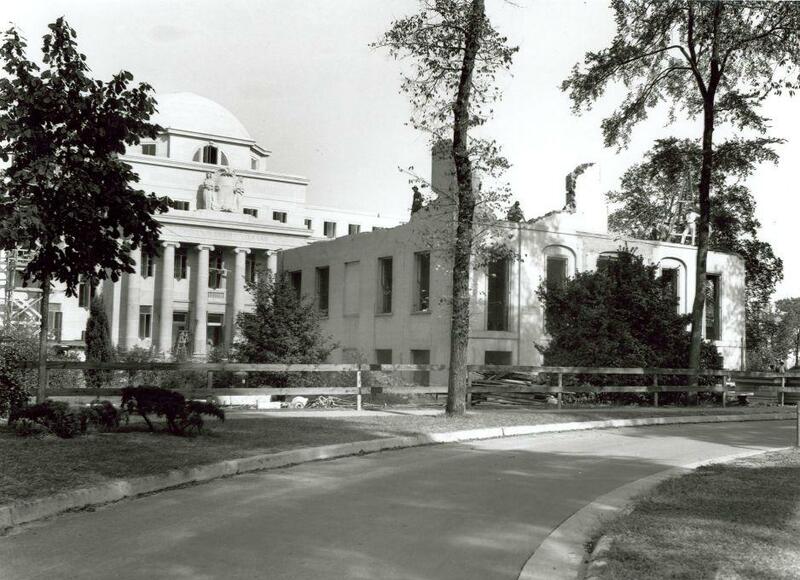 In the 1950s, the university began recruiting national-caliber faculty and extended its presence beyond Columbia with the establishment of campuses in communities across South Carolina. On Sept. 11, 1963, Henrie D. Monteith, Robert Anderson and James Solomon became the first African-American students to enroll at the university in the 20th century; in 1965, Monteith became the first African-American graduate, earning a B.S. in biochemistry. In the ensuing years, Carolina underwent explosive growth as the baby boom generation entered college. Enrollment stood at 5,660 in 1960, but by 1979 had reached nearly 26,000 students on the Columbia campus alone. To meet the needs of these students and South Carolina's changing economy, the university put new emphasis on research and introduced innovative degree programs as well as a number of new schools and colleges. Carolina had become a true research university. Carolina also honored its past. 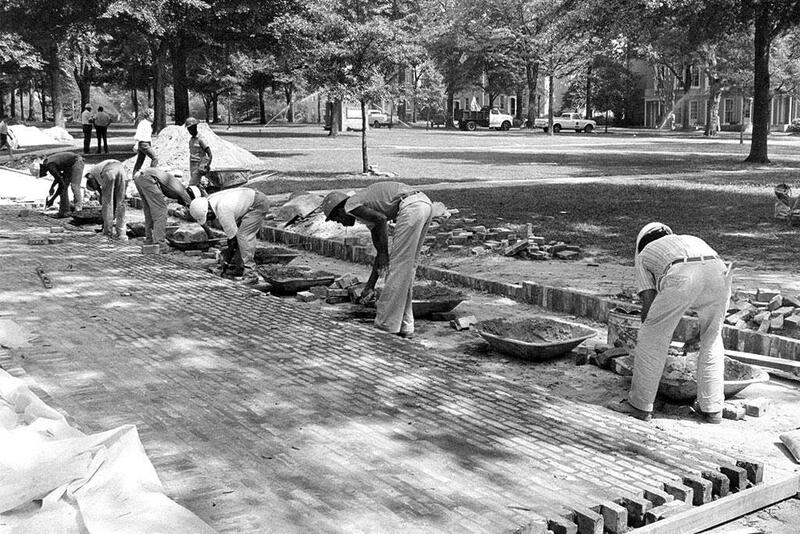 A renovation program that began in 1972 restored the 19th-century Horseshoe buildings, a renaissance that served the South Carolina Honors College, which was established in 1977 and whose administrative offices and housing for juniors and seniors are largely on the Horseshoe. In the 1980s and 1990s, the university continued to develop its resources to better serve the Palmetto State. A concerted drive to achieve national recognition brought Carolina into the 21st century. In 2001, the University of South Carolina celebrated a legacy of 200 years of educating leaders for the future of South Carolina, the nation and the world. 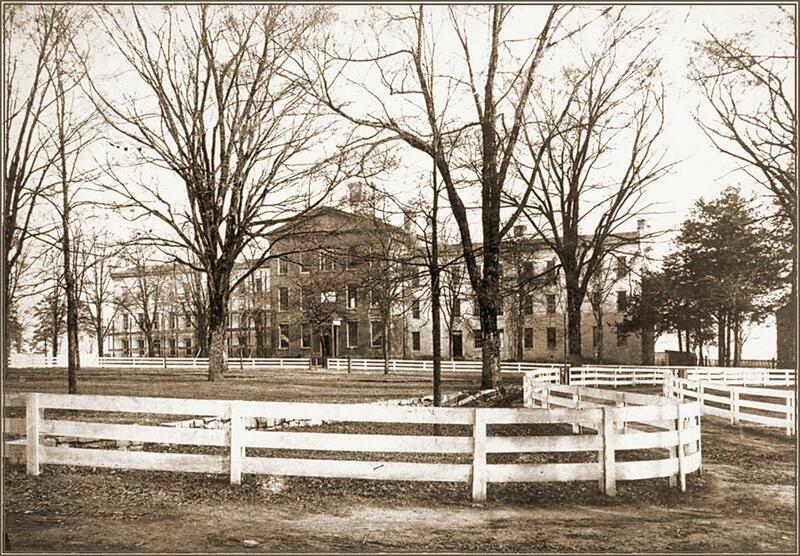 We have changed and grown over the centuries, but our historic Horseshoe has always been the heart of our campus. If these historic walls could talk, they would reflect on stories of war, esteemed guests and physical and social change. Learn more about the historical significance of the people, buildings and structures of the Horseshoe. From humble beginnings in a single building on what would become our historic Horseshoe, we have grown in fits and starts over the centuries. Some of these early milestones have been preserved in lithographs and photographs.